Muddy Plimsolls began in 2008, serving local residents around Marylebone and Regent’s Park. 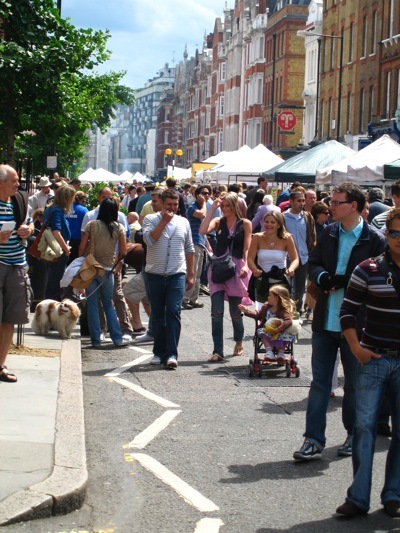 As a local business, we try to be active within the Marylebone community. You may have spotted us in a branded shirt, walking up the high street, towards the parks where we meet our clients. Or you may have stopped for a chat with us on our stall at Marylebone’s annual Summer Fayre; or more regularly at the Cabbages & Frocks Market, outside the church. What sets us apart from other Marylebone personal trainers? Muddy Plimsolls runs a five-star personal training experience. When you train with a personal trainer Marylebone, you’ll get unparalleled service, including: our unique ‘Bookings Angel’ to make your life easier; our ‘Coach-on-Call’ for motivation on and off the field; and our much-coveted Royal Parks fitness license for personal training in nearby Regent’s Park, as official operators.